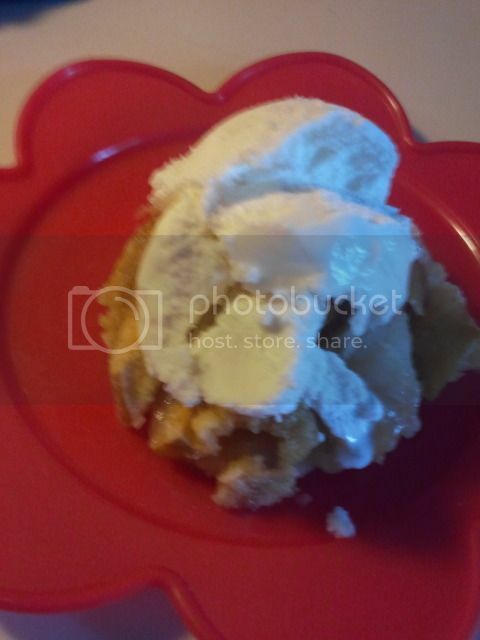 One Momma Saving Money: Apple Dump Cake #Recipe - 4 Ingredients, it is that easy!!! 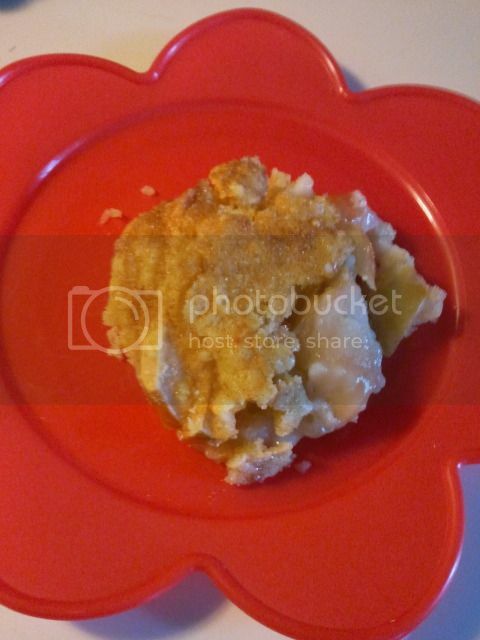 Apple Dump Cake #Recipe - 4 Ingredients, it is that easy!!! We went apple picking today and picked a bunch of Cortland and Johnny Gold apples. 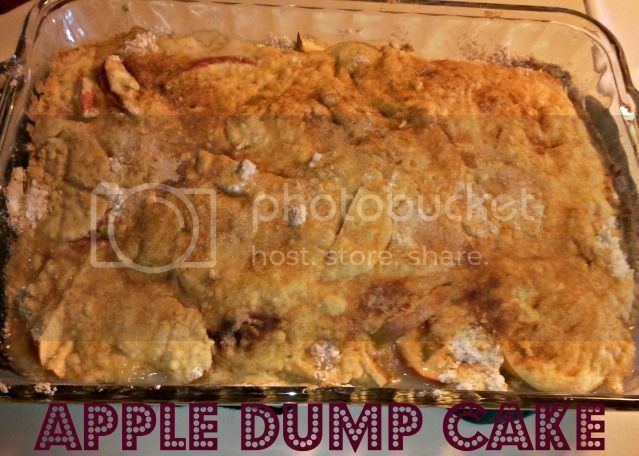 I saw a bunch of different dump cake recipes online and hubby immediately asked if I could make some type of apple cake tonight. I of course obliged, who can resist the smell of apples baking in the oven? Spray a rectangular glass cooking dish with cooking Spray. 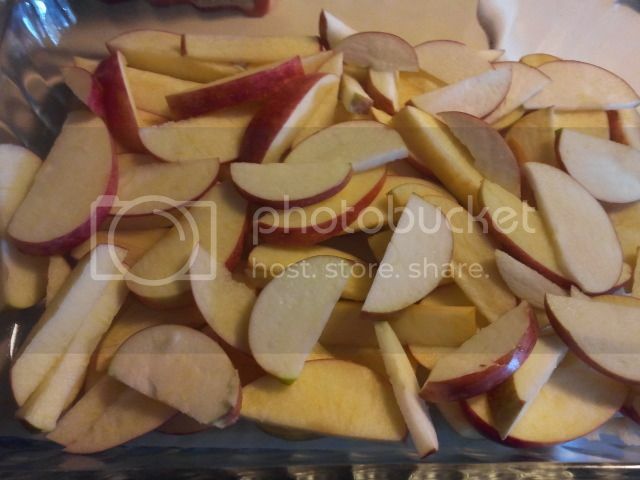 Layer apple slices (or other fruit) at the bottom of a pan that has been coated with non-stick spray. 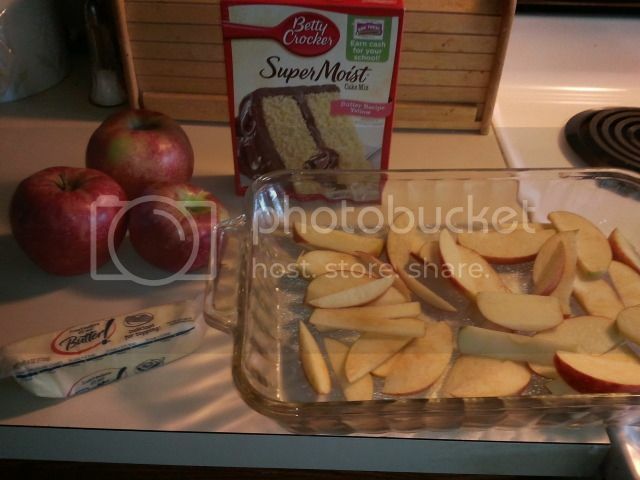 Sprinkle the cake mix on top of the sliced apples. Melt the stick of butter in the microwave on low heat in a microwave safe container. Pour the melted butter over the cake. 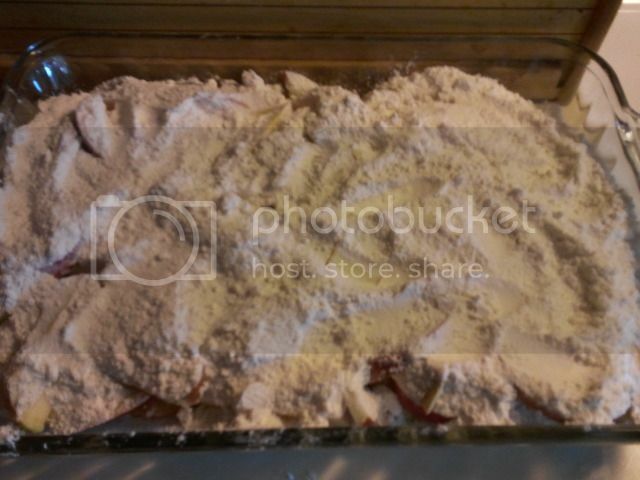 I then sprinkled the sugar/cinnamon mixture on the top and placed in the oven. 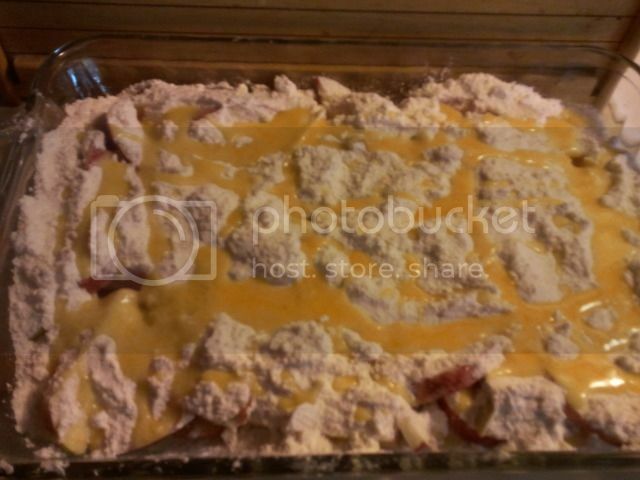 Bake at 350 degrees for approximately 45 minutes. If you notice it still dry in areas while baking, it is okay to add a Tsp. 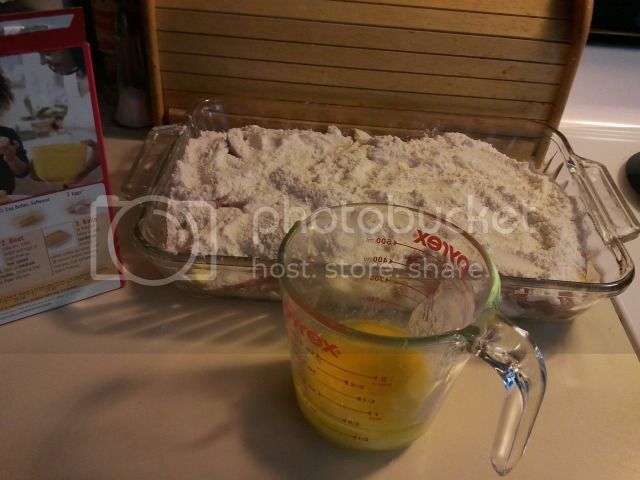 or so of water to the areas that is still the dry cake mix.